Most village people in Thailand are accustomed to the traditional manner of transportation which is the "soongthaew" or, in the old days as it was referenced, the "baht bus." The Thai baht was equivalent to five cents for which you could hop on and go anywhere on its defined route. In today's world, the most common riders are village school children on their way to school. 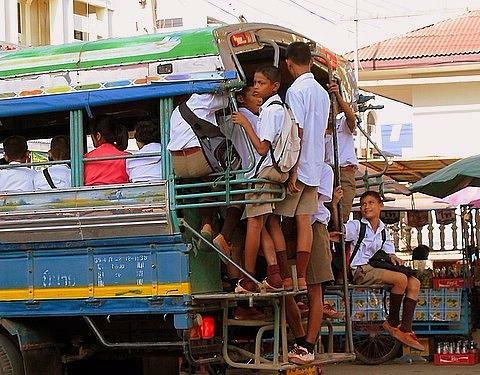 However, in Baan Ta Klang, which is home to some 300 elephants taking morning strolls on the village roads, the "baht bus" is not the safest manner to transport young students hanging on the back. Further, no longer does this form of transportation cost five cents per trip. 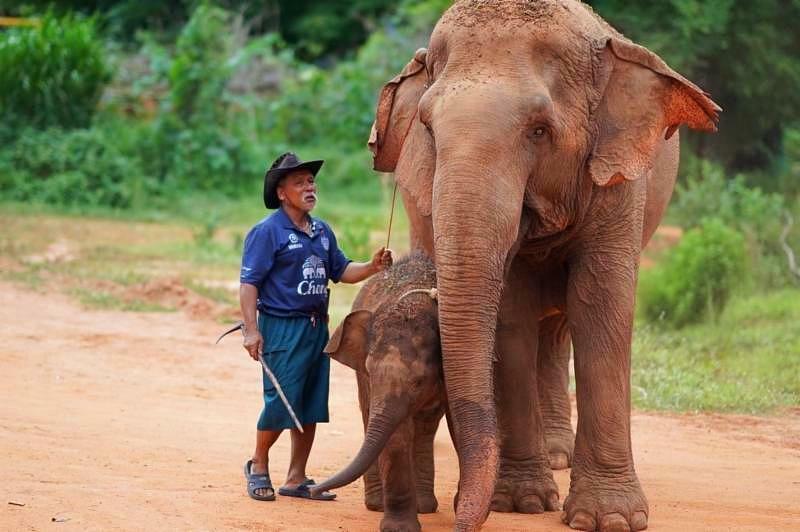 You should note that many of us at The Elephant Story wear the same shirt the mahout has on in the photo below. Chang is the Thai word for elephant and Chang beer is a sponsor of the Buriram soccer team which is one hour away from Baan Ta Klang. 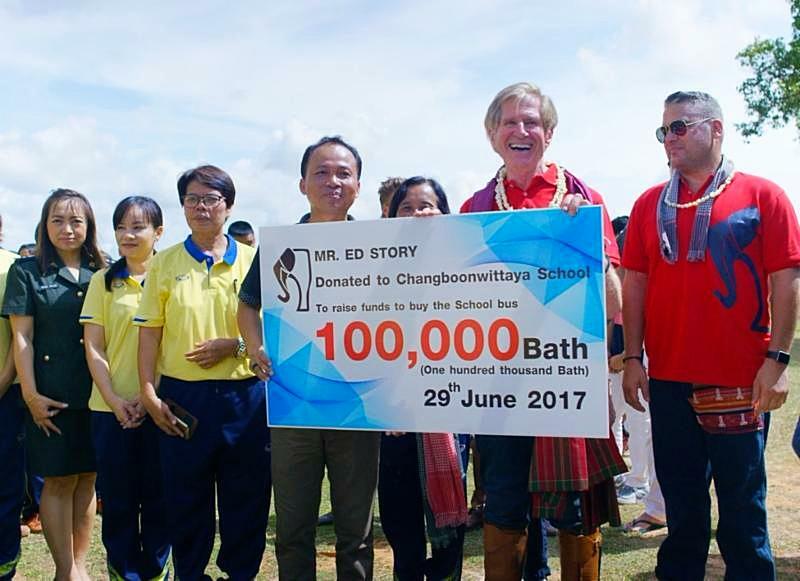 Accordingly, the head master of Chang Boon Wittaya Secondary school reached out to The Elephant Story to lend a hand with the down payment to get a proper safe bus to transport the more remote children to class at the magnet school for English education. Therefore, we contributed to the down payment as shown below with the symbolic check at our recent elephant polo tournament there in June. You will note that the "baht" spelling does not follow the traditional Anglicized presentation, but these folks are learning English and not how to phonetically spell Thai words. Well, the bus has arrived. The students and the teachers are most thankful. Often, it is difficult to distinguish the youthful faces of the teachers from those of the young students. Nonetheless, their gratitude and enthusiasm are obvious. 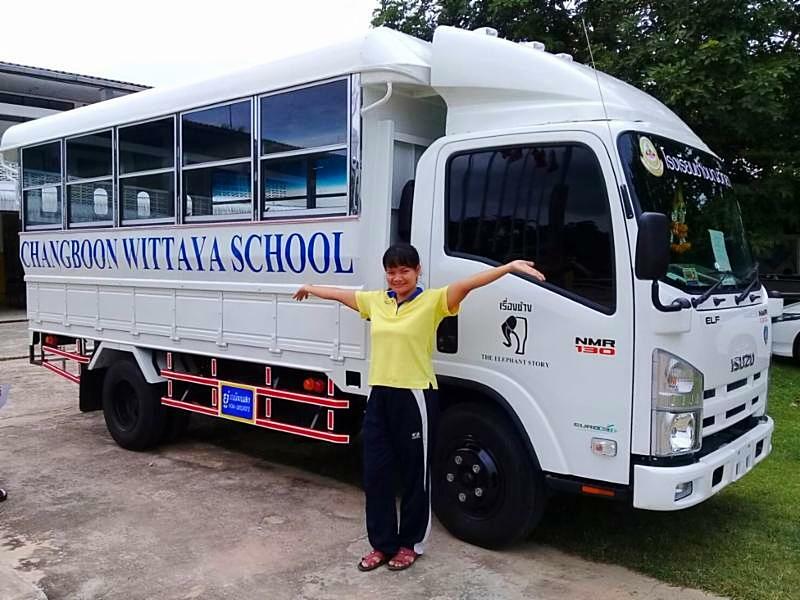 You will note that the rear door is closed and bears a sign in Thai that it is a school bus. 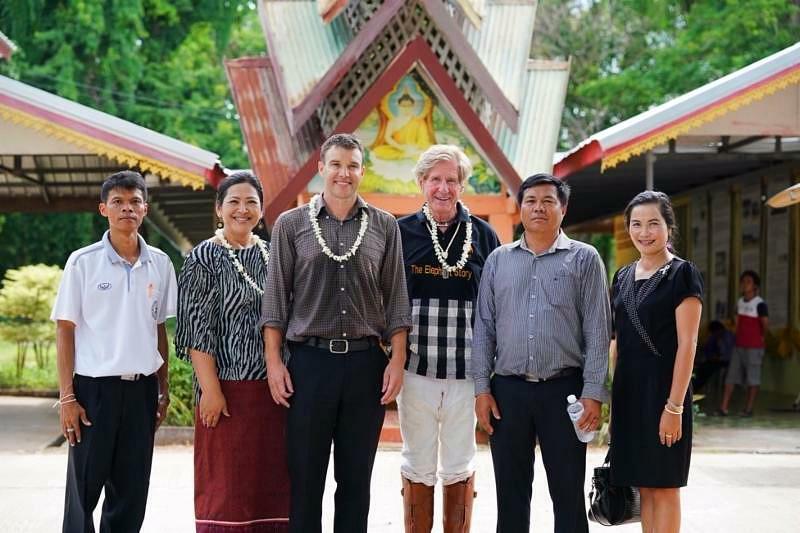 As always, Khun Pachraree Jaengvong (Khru Oh) of The Learning Link, second from my right below, is the driving force in this education program and is supported by Nigel Bayne immediately on my right. Nigel is from Australia and has spent the past 16 years teaching English as a second language in Thailand. He is a very accomplished and dedicated individual who fortunately has a lovely Thai wife to keep him focused and well-grounded. You should also note that the headmasters of these two schools are on either side of the author in both images. They are committed administrators, fully supportive of the English program, and not shy about asking for a helping hand as needed. a.k.a. 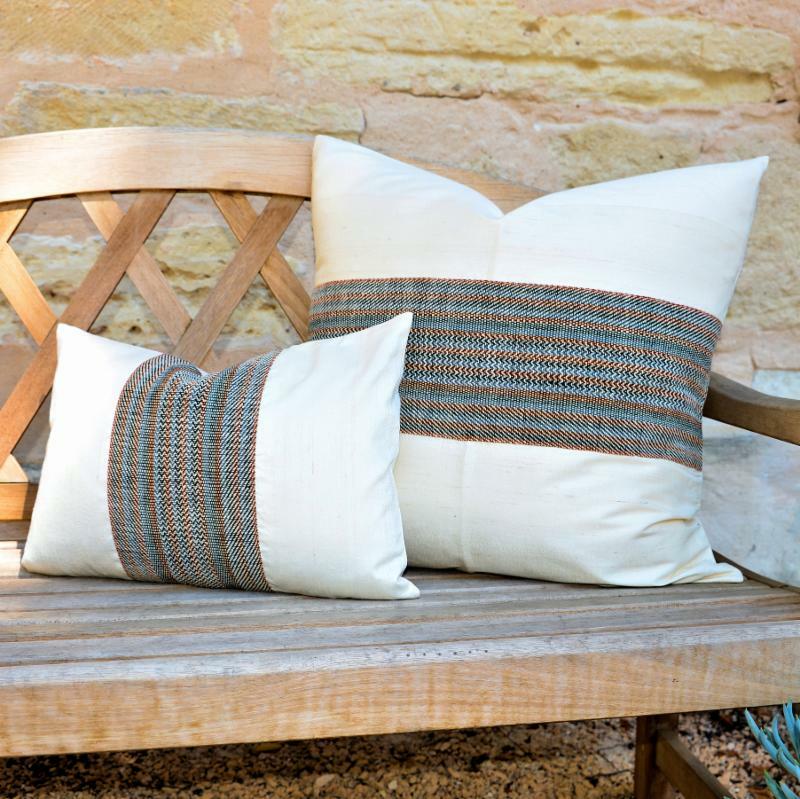 make merit for such wonderful people and for your own soul. 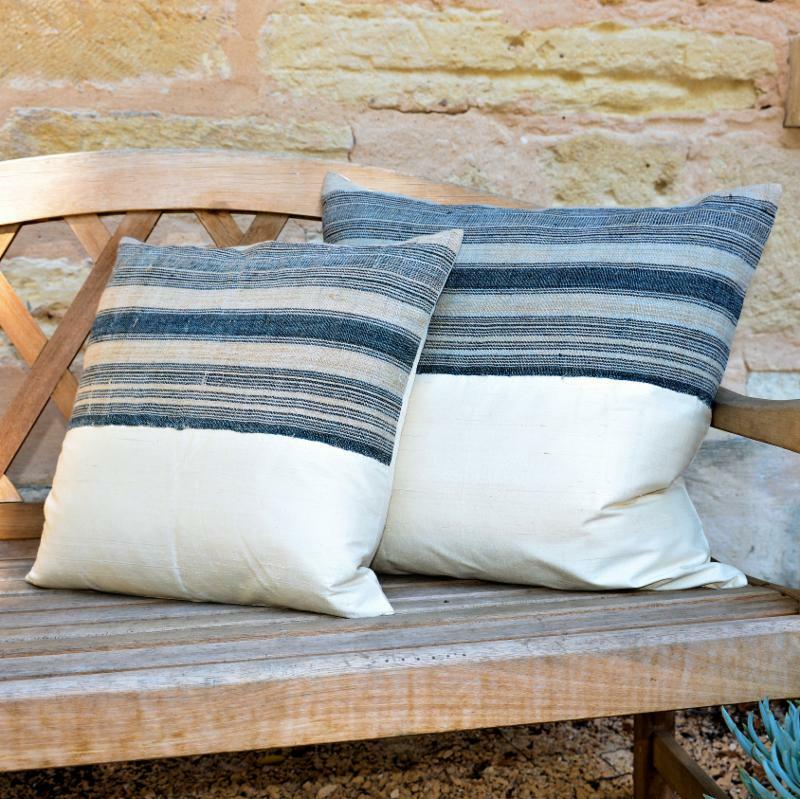 Indigo-dyed hemp fabric, handwoven by hill tribes and antique French espadrilles cotton have been paired with handwoven Cambodian silk to make these casual yet beautifully elegant pillows.